Screen shot of Solar System Download. 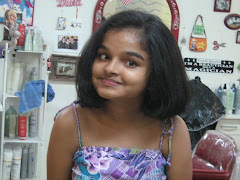 I have entered quite a few contests on Indiblogger , fortunately winning some of them. Never have I felt happier to blog about a contest, as I feel today, writing about the Intel Appups. Installing the Intel Appups setup opened a world of trial applications for free; something I have always been looking for. As a mother and a teacher, the Intel Appups of Back to School are blessing for me. I love the smile on the face of the children and would not want learning to be a stressful activity for them. Contrary to general belief that children hate learning, they love to learn about new things. It is the boring methods adapted that makes it difficult for us to teach children. When one adapts colourful and interactive methods, the children show more enthusiasm in learning than we can actually cope with. 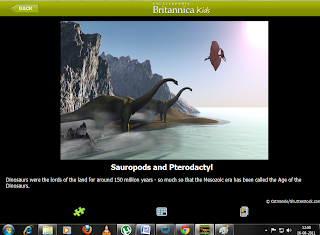 Dinosaurs , A-Z facts about the extinct reptiles in form of pictures, videos and excellent articles in addition to puzzles, magic square, brush off, memory match and quiz.It is fun and entertaining to explore the fascinating world of dinosaurs through this interactive educational app. The life and times of dozens of different dinosaurs, their evolution and ultimate extinction are covered while in an interactive fun way. The map tool shows where fossils were discovered. Children can imagine and play archaeologist by brushing virtual sand off the fossils. I loved this. 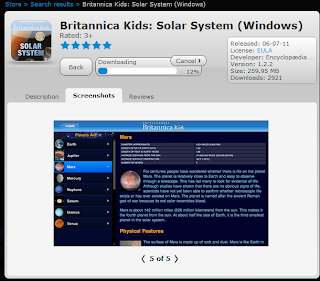 I have to make special mention about the Britannica Kids Solar System. 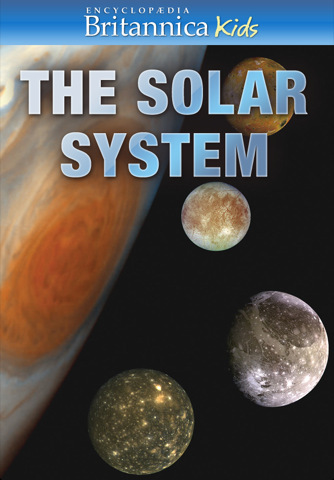 With this amazing application we can explore the amazing world of our Solar System with some entertaining games like Memory Match, Jigsaw Puzzles and the Magic Squares. For a person who aspired to be an Astrophysicist (me), this is very attention grabbing, as I find it a perfect app for exploring the secrets of the Solar System in a fun and engaging way with the children. 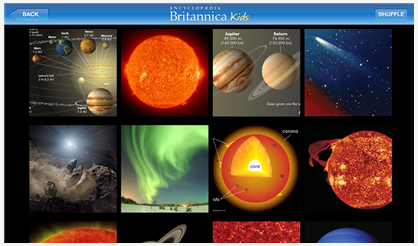 The application is filled with the beautiful breathtaking images which will easily attract the attention of children No wonder I can say Britannica Encyclopedia has done a good job of providing information on the sun, planets, moon, asteroids and comets. This must-have application which would cost normally around $4.99 is available for free for new registrations along with the Dinosaurs. It has been created keeping the age group of 8-12 yrs old school children in mind. All the important facts about the 8 planets are covered up exclusively. Children will become very familiar with all the eight planets in no time. There is lot of fun with the Jigsaw Puzzles, created from beautiful images of the Solar System. Though the puzzles appear easy, they take considerable imagination to be pieced together. The Magic Square game allows you to scramble the images and throws a challenge to re-arrange the squares again. 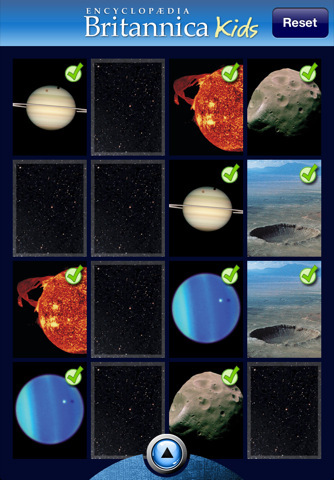 The memory match games allows us to test our short term memory by matching up pairs of images of solar system. The comprehensive Quiz feature allows one to test their knowledge about the Solar System.The most attractive feature is that it allows us to tweet the answers or share the results on facebook. The list of attractive Intel Appups would be unending, as there are tons of applications available on the site along with the Britannica Back to School Bundle for free. The above mentioned apps are only the few I explored in a day. There are also wide array of books on topics ranging from e-content to Gitanjali. The essential apps and organizational apps are very useful for those who spend a lot of time working on computers. There is further option of choosing the OS of the computer and pricing option to refine the results. I am hooked or precisely the child in me is hooked to the Appups for time being. I am a proud teacher and parent who don’t have to resort to the cane for the sake of either success or discipline, because I am a firm believer in “Learn with a smile” concept. 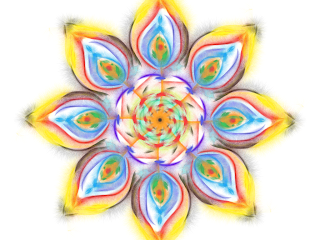 I have been educating children in different schools and also privately at home for more than 20 years. I have stood by my principles of making learning fun and never compromised on it for success. Initially I used to find models, picture books, maps and other such accessories to make teaching simple. My son learnt alphabets through the snacks I used to make for him. He would eat words like hen, dog, eagle, rose, and other such general things around him to learn them. No wonder it was implemented to teach Farheena few things too. A special needs child will require visual and auditory help if they have to learn without stress. I had to hunt around and shell quite few rupees to find some good educational computer applications for her. Today, surfing the Intel Appups, I was so delighted that there are quite a number of wonderful applications available for free downloads. It is not even complicated process. I already have quite few of the applications running on my computer, entertaining and educating us. Two and a half years ago, I faced the challenge of getting the children of my school to talk in English and improve their General Knowledge. What is the challenge in it? Anyone would ask that. I grew up speaking English, even more than my own mother tongue. But to the children belonging to rural India, where they have no one to talk to other than in their local dialect, speaking English is not normal. They are afraid to be made fun of when they make mistakes. Initially I got only giggles and blank smiley stares from the students when I spoke to them. When they did not understand what I said to them in English, I explained it to them in English in much simpler terms, with pictures or actions but stuck to the language. I tried introducing new GK books but the words did not make much sense either. We teachers had the facility of multimedia to coach children, through a projector, which was seldom used. I took advantage of this and downloaded few programs and videos available on net to bring the children out of their shells. Also I made use of the software I already had with me for coaching Farheena to educate the children. As the rhymes and videos started to brighten them up, they wanted to know more and they had to speak in English because communication in no other language was allowed. That is how it started and everything else was smooth after that. Few months ago my son came home and told me that he met a boy from my school, who spoke to him in English for a long time. He wasn’t fluent but he was confident and did not feel shy to speak in English. My goal was achieved and my trust in the principle was strengthened once again. Learning can be much easier through visual aids. Even to this day, I refer to the Multimedia I can access, to learn about something, as it gives me visual and auditory help to understand a topic. The Multimedia stimulates more than one sense in a person, because it has audio, visual and text clues. The apps work fine on any Win7 or WinXP, though surprisingly many are misled to believe that it can be used only on netbooks. Educators who have computers with Windows OS should take advantage of the opportunity and get access to this great educational content. This blog is an entry to the "My Favorite PC App" contest. Check out numerous apps for PC/Netbooks available at the Intel AppUp Center. If you are looking for an opportunity to build and monetize your applications, check out the the Intel® Atom™ Developer Program. I notice some kids today learn a lot of english in watching movies with only sound. For me that had been impossible, so I need the text too. Thanks.. I have always taken pride in my profession and felt satisfied of doing justice to it. I take care never to hurt the children with harsh, confidence breaking words too. Thanks Farida as you are the best. If a child got a teacher like you I say a lucky one. do this apps have any type have small and educations games ?? I am missing the computer Maa, You are enjoying the appups all by yourself. Do you have any racing games there? Download them for me . Thanks for the info! This looks great! @ Gayle.. I think you can have fun with your grandson with this appups. Enjoy. You are a wonderful teacher. This post is gonna help me with my toddler. Love your new cool blue look. Thanks BM. I love the multimedia when it comes to learning. I think that apps means software. All these new names, they are so confusing! Great survey, I like your site. learning is always a fun? we watch movies expecting them to show something new, same if we are not innovative at teaching, children will loose interest. Apps are multimedia program on smaller scales than the Online Encyclopedia. They concentrate particularly on one subject, like solar system, Dinosaurs, alphabets etc. A parent or teacher can choose the topic they want the children to learn. It will have videos, pics and text articles to make learning easy. 'my favorite PC app---not a school essay mindya! i must say teaching is the noblest profession in this earth. "Maintain healthy eyes when in front of the computer"
I hope it will be useful for you to. Congratulations madam for winning the contest. 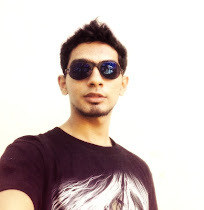 Hearty Congratulations for winning the indiblogger contest.